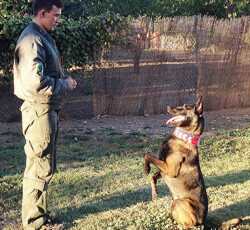 DVD Bodyguard dog #3 reveals in detail the bodyguard dog training process. One of the main goals of this DVD is to show how to guard the owner from an armed criminal. Watch this DVD and gain unique knowledge of training dogs against 5 types of weapons, with an account of the specifications of each weapon. 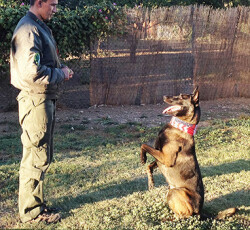 The entire process of protecting the owner and his family is shown in detail, with different breeds of dogs. This instructional DVD is dedicated to the skills that a dog must develop for effective work against an armed opponent. This DVD is great for beginners as well as for professional dog trainers, and will help dog owners gain a reliable bodyguard dog, a loyal and dedicated friend.